A beloved performer who typified the onscreen Everyman, Henry Fonda was the star of many classic movies over the course of six decades. He worked with the top directors of the day and did his best work with John Ford before their falling out in 1955. Despite turning in a number of great performances throughout his career, Fonda was nominated for only two Academy Awards and won in 1981 for his final role. Still, he had an extraordinary career rivaled by few others. 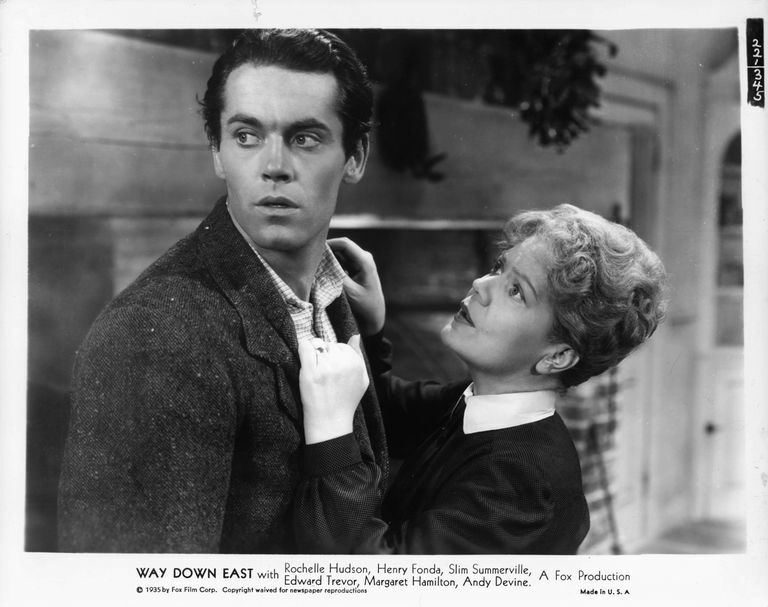 Here are eight classic movies starring Henry Fonda. Before he was the 16th President of the United States – or even a vampire hunter – Abraham Lincoln was a young country lawyer in Illinois. Here Fonda portrays the "Young Mr. Lincoln" of the title, who stops the lynching of two young men falsely accused of murder and sets out to prove their innocence. Directed by John Ford, the film took its share of historical liberties, but that really doesn’t matter since Fonda’s performance was exemplary and helped transform him into a major star. It’s hard to believe, but Fonda’s turn as ex-con Tom Joad in Ford’s adaptation of John Steinbeck’s "The Grapes of Wrath" was his only nomination for Best Actor until his final performance in 1981’s "On Golden Pond." After returning from prison where he was serving time for manslaughter, Joad finds his family’s Oklahoma farm abandoned thanks to drought and greedy land companies. He does manage to find them and with sheer determination, packs up his family for the promise of a new life and higher wages in California. Both stark and hopeful, Ford’s adaptation of Steinbeck’s novel rises to and in some areas surpasses the source material. Fonda solidified his status as a heroic man of the people with what many consider to be his best performance. Preston Sturges wrote and directed this high-brow comedic battle of the sexes where Fonda played a shy snake expert and seeming pushover who attracts the attention of a trio of con artists aboard a ship bound for New York. Among the crooks is the sultry Barbara Stanwyck, who finds herself falling in love with him while her father and his partner fleece Fonda for $32,000 in a card game. But he gets even when she falls in love and he winds up breaking her heart. Fonda and Stanwyck display extraordinary chemistry in one of the funniest comedies of the era. A labor of love for both Fonda and director William Wellman, "The Ox-Bow Incident" was a scathing indictment of mob justice as well as a dark meditation on crime and punishment. Given that it was released during the flag-waving days of World War II, the film wound up being a box office failure. Set in 1885 Nevada, it starred Fonda as a cowboy who gets mixed up with a mob of townspeople seeking vengeance for the murder of a local rancher. Three transients are wrongly accused of the crime and promptly find themselves at the wrong end of a rope, only for the townspeople to learn after the fact that no such murder even took place. Despite its commercial failure, the dark psychological Western gained respect and an audience thanks to television. Considered one of the best Westerns ever made – certainly the best on director John Ford’s résumé – "My Darling Clementine" starred Fonda as a highly fictionalized Wyatt Earp, who arrives in Tombstone, Arizona with his brothers to make money as cattlemen and farmers. But when they run into the outlaw Clanton gang, Earp reluctantly returns to upholding the law, leading to a highly idealized retelling of the famed shootout at the O.K. Corral. Fonda portrays Earp as an upstanding, but slightly awkward character who finds himself caught between civilization and the lawlessness of the West. After several years removed from films, Fonda reprised his Tony-winning performance in this 1955 adaptation of the comedy "Mister Roberts," directed by John Ford. Fonda played a cargo officer waiting to reassigned from a naval supply ship where he has been desperate to see some real wartime action, only to bide his time battling a tyrannical captain (James Cagney) and misfit crew that includes the womanizing laundry officer Ensign Pulver (Jack Lemmon). 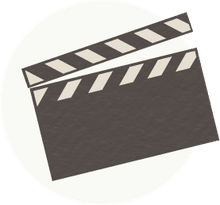 A delightful entertainment, "Mister Roberts" was a big hit with audiences, though behind the scenes Fonda and Ford came to blows, with the director punching out the actor. Fonda vowed never to work with Ford again and kept his promising, ending a fruitful collaboration that spanned seven films. Fonda made his one and only foray into producing with "12 Angry Men," Sidney Lumet’s auspicious directorial debut based on the successful 1954 live TV production. He played the lone not-guilty vote in a jury deliberation for a seemingly open-and-shut murder case that leads to a long clash of wills that grows more intense in the summer heat. Though not a hit upon release – surprising due to its six-figure budget – the film did earn near universal acclaim and a Best Picture nomination at the Academy Awards for Fonda. Of course, "12 Angry Men" has gained considerable stature since and ranks high on Fonda’s list of great performances. After decades of playing the hero in a number of Westerns, Fonda delivered a chilling performance as the sadistic Frank, an ice-cold killer who leads a band of outlaws trying to clear valuable land for a railroad company. Frank crosses paths with a brooding harmonica player (Charles Bronson), who tries to stop Frank from taking land from a beautiful young woman (Claudia Cardinale) while harboring his own personal motives. Fonda initially turned down director Sergio Leone to play the role, but reconsidered after talking with friend Eli Wallach, who had starred in Leone's classic spaghetti Western "The Good, the Bad and the Ugly." His decision to reconsider proved wise, as Fonda delivered one his most memorable turns.